Dr. Fadi Haddad has been practicing Dentistry since 2001. He has in-depth knowledge of diagnosing, treating, and preventing dental diseases. He has extensive knowledge in several areas of dentistry, including restorative, endodontics, fixed and removable prosthodontics, restoration of implants, aveoloplasty and tori removal. Dr. Haddad has experience working with diverse patient populations and is bilingual (English and Arabic). He also has experience treating large volumes of patients as well as performing same day treatment. Dr. Haddad has attended numerous continuing education courses and continues to further his education. Dr. Haddad also believes in giving back to the community, and has volunteered in several Detroit area clinics where he performs dental services for the underserved populations at no charge. 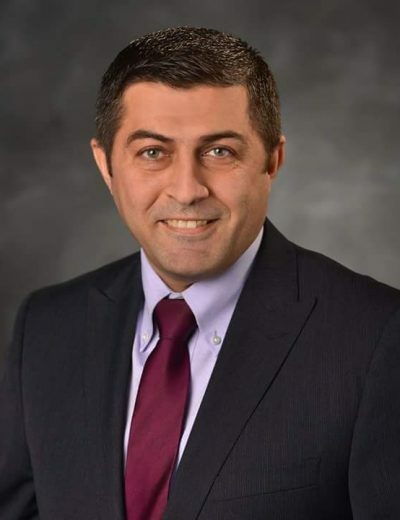 Dr. Haddad received his BDS degree from the University of Baghdad College of Dentistry and his DDS at the University of Colorado School of Dental Medicine, where he also received several awards, including fixed prosthodontics and pediatric dentistry.